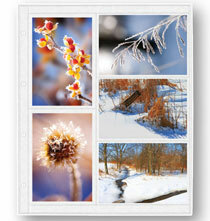 White Mylar® 4-ring sheet protectors are a great way to protect photos and flat memorabilia. Both Mylar® and our heavy paper are archival. Great for my photo collages! Slow delivery time. Fit the product. Liked the description. I've been using these sheets for years in my albums. They stand up great and keep all of my clippings intact. They are great protection. These sheets have protected my collection of newsclippings for years. I have been using these for 40 years and they are fabulous, fabulous! Works well, looks good, and makes it easy to design your pages. I needed someplace for my 10 x 13" photos. I would have preferred a pocket page like all the smaller sizes, but this was the only type this large that is available. I have about 15 family albums done with these pages over the last 20 years. They've held up beautifully and work well. I am the photo album keeper for four grandchildren. I have been using the Charter 4-ring extra capacity leather album and the plain Mylar acid-free inserts for 20 years. We have watched the children grow up! I chose this because it will allow, I hope, me to put 8 x 10, 5 x 7, and other pictures. First time ordering from this company--I do hope this will be a good experience. I am putting this book together for my 80 year old Mom--this is very important. Thank you." These sheets fit my large albums and allow many sizes of pictures and memorabilia. I have used these protectors in the past and they are great! Have used these oversized sheet protectors for years. 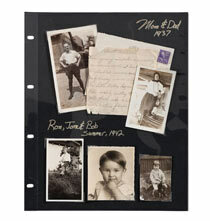 It is nice to have the protection for preserving scrapbook items and photos. To help me finish working on my photo albums. They fit the size of my albums and photos. I've had three Presidential size albums for years, and these fit perfectly. I have been using these since day one. I can arrange my photos any way I like. I've been purchasing these items for over 15 years, plus. Excellent in keeping my newsclippings in a great condition. 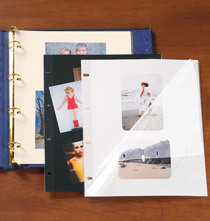 Easy to organize scrap book items on the page for proper fitting before gluing. 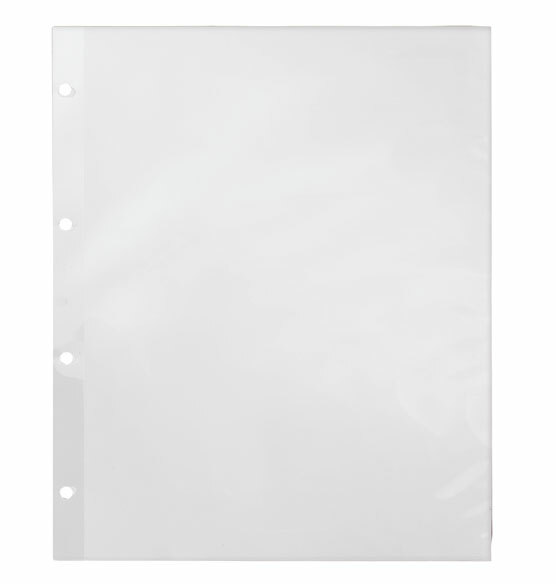 Then mylar sheet protects all items perfectly on each page. All my albums are this size. It is just what I need for the album I purchased from Exposures some time ago. I also am very pleased with the album, with everything I have purchased from this company. First of all, the album fits all my needs. It is sturdy and lasts a long time. I've has some of these albums over 14 years. They hold many items, and allow for “customization” by the user. They protect my inserts and they look really neat. I've been one of your steady customers for many, many years. You have wonderful selections. To match the other I already have. This is a "hard to find item". Since I underestimated the number of packets I, eventually, would need in my initial order, I was pleased to see, several years later that these same sheet protectors were still available from Exposures. Allows flexibility in arranging photos. I have used these pages for many years for my various travels. I find the pages convenient for showing my various sized pictures abd other memories of my trips. Thank you Exposures! My favorite. 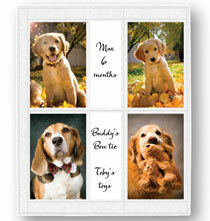 Protects the photos and other documents. These are well made and go in the Presidential oversize albums. We've bought them for years. Will an 8.5"x11" page fit in these inserts? BEST ANSWER: Thank you for your question. Yes, an 8.5 x 11 photo will fit in this photo page. We hope this information will be of help to you. BEST ANSWER: Thank you for your question. All our pages are acid free. We hope this information will be of help to you. I believe that the manufacturer claims that they are acid free. Is it possible to just order the mylar sheet protectors without the insert?? I use my own paper sometime and have a bunch of unused inserts. BEST ANSWER: Thank you for your question. The insert is prepackaged with the protectors. You do not have to use them if you do not want to. We hope this information will be of help to you. How many pages do you receive in one order? BEST ANSWER: Thank you for your question. There are 10 pages per set. We hope this information will be of help to you.